Our PATENTED Crimp-less Connection™, which allows for a perfect pitch! Will not fall out! No more breathing inside the bell! 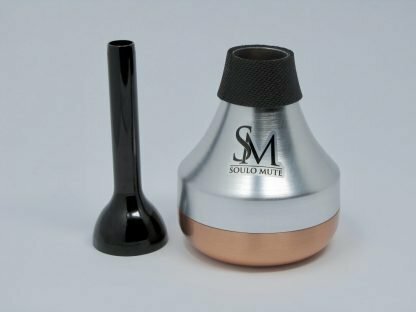 The NEW Copper Bottom Trumpet Harmon-Style Mute, by Soulo is the newest invention in the trumpet harmon mute world. 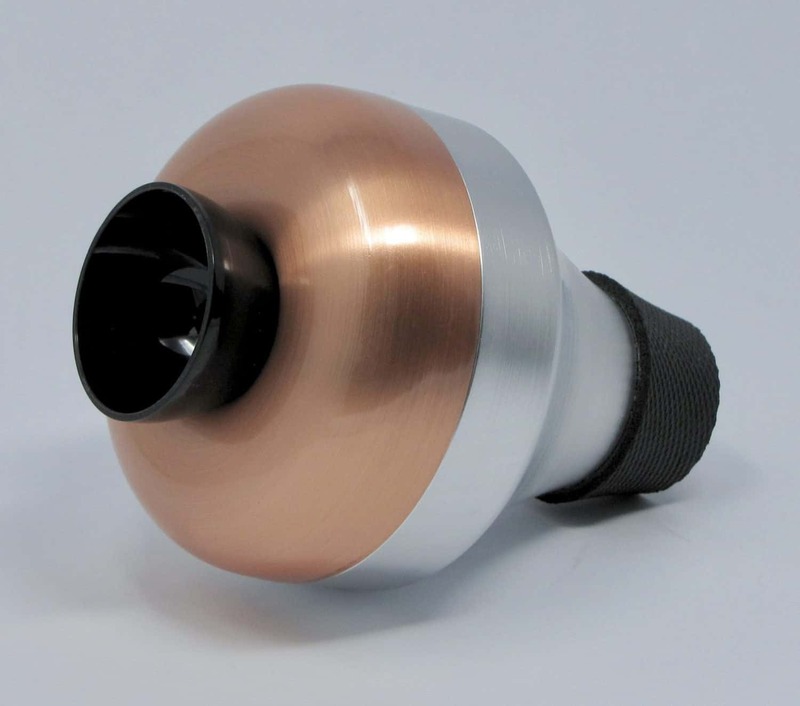 Our customers and endorsers are unanimous that this is the best harmon mute on the market! 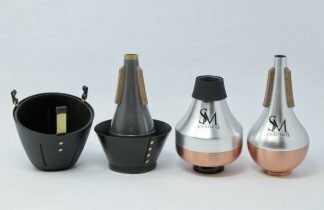 The reason for this overwhelming success is the combination between a traditional Harmon mute sound and ground-breaking aerodynamic shape. 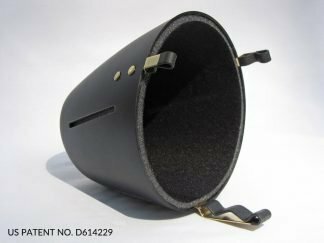 This patent-pending shape improves the typical issues, associated with metal Harmon mutes. Trumpet Harmon Mutes, also known as Wah Wah mutes, are a category of mutes, whose name is derived from the Harmon Company. 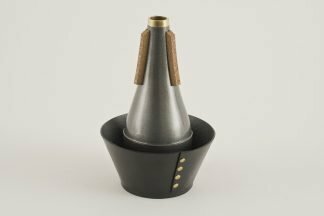 These mutes typically produce a buzzy sound and heavy back-pressure, combined with poor pitch, especially in the lower register. In contrast, Soulo Mute’s design allows the air to naturally flow inside the mute, undisturbed by a crimp or other barrier. This leads to a vastly improved, near perfect pitch, down to the low G, and a free-blowing experience. In order to achieve the dark, buzzy trumpet harmon mute sound and keep the mute free-blowing, Soulo Mute uses the highest quality aluminum and copper. Soulo Harmon-Style Mute is very lightweight, in contrast to all other copper trumpet Harmon mutes. 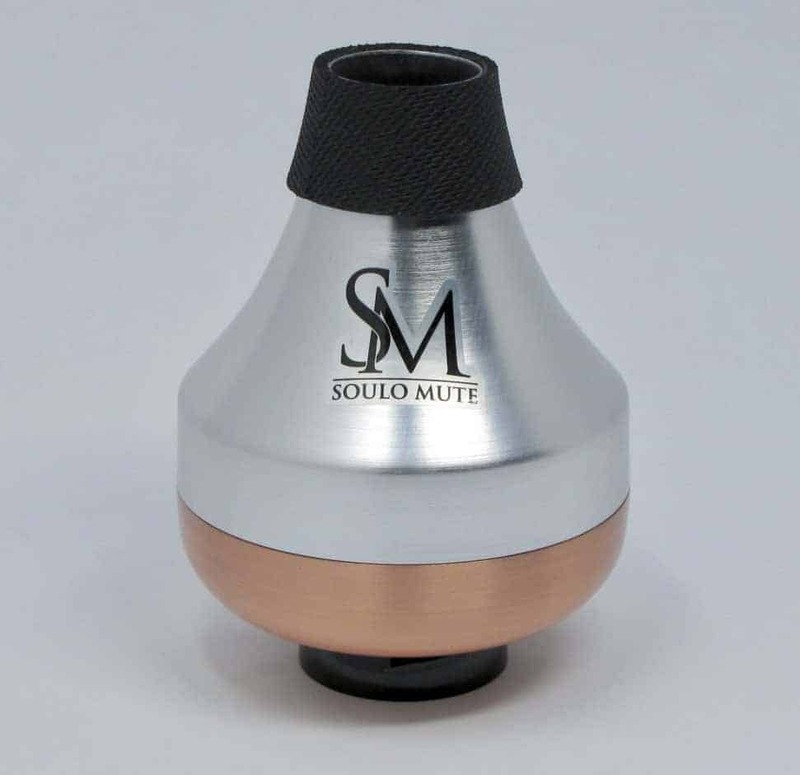 Soulo Mute achieved this important feature by using copper only in the bottom half, where it matters. Perhaps most importantly, the Soulo Harmon-style will never fall out of the bell! Its unique neoprene foam composite gasket “locks” the trumpet wah wah mute inside the bell nicely. In addition, a custom sized Polycarbonate stem accompanies the trumpet wah wah mute, to allow for the the “wah-wah” effect. This stem will only work with Soulo Mutes! Michael and Elena Jarosz designed The Soulo Harmon-Style Mute in NJ, USA. 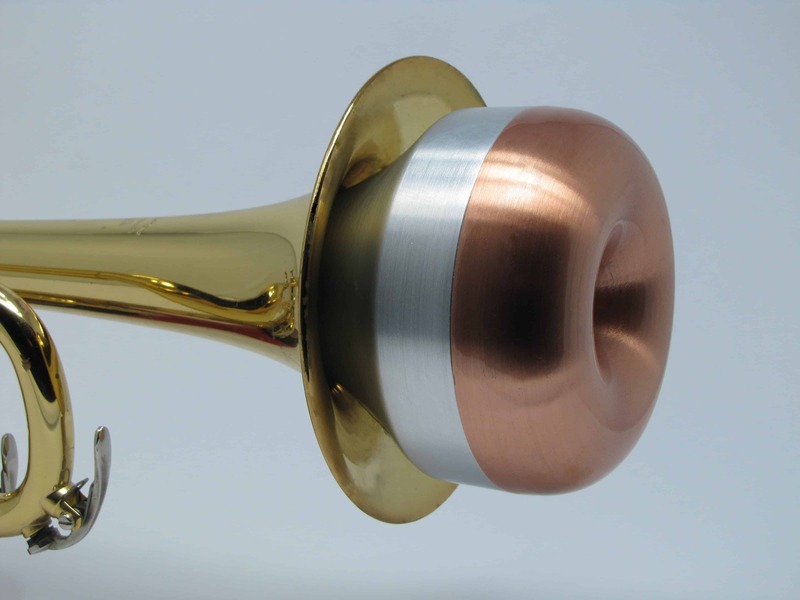 No matter where you buy our trumpet harmon mute, you are guaranteed the best quality and customer service.